This casket funeral spray makes a very nice impression especially in creams and whites. This is the most traditional and most popular spray we do. This spray can be made in different colours and sizes. 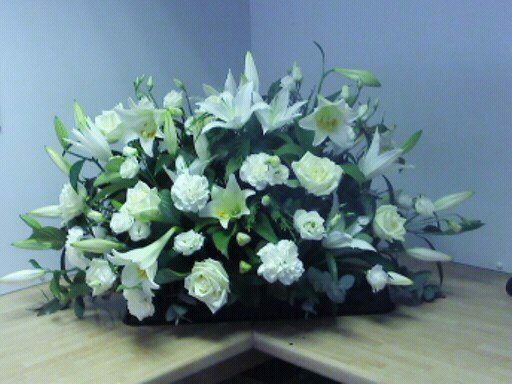 Funeral Casket Spray is the most eye catching tribute normally seen at a funeral. In whites and creams this always looks stunning. Delivery can be arranged throught Fife and Perthshire including St.Andrews, Cupar, Newburgh.